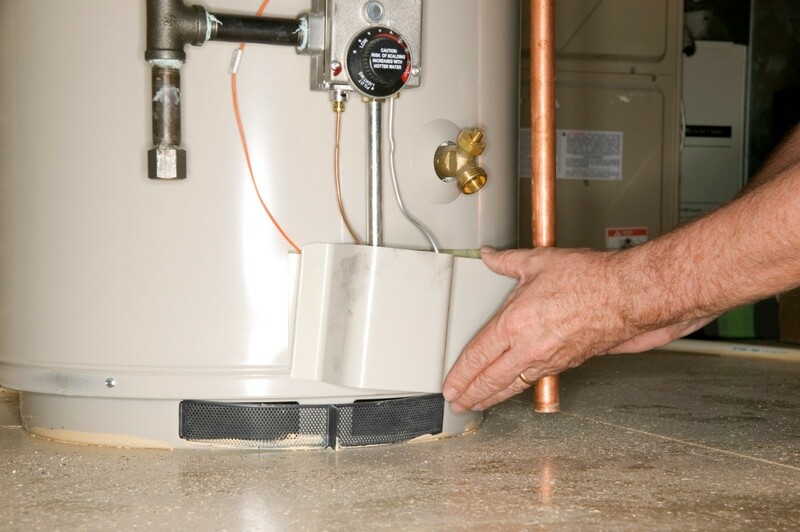 Areas with hard water will see calcium deposits accumulate in water heaters. This is a guide about removing calcium deposits in a water heater. My husband and I moved into our home back in December. We have noticed when the dish washer runs, or right after we take showers, that we hear a loud rumble in the ceiling of our dining room (the water heater is above that in the attic). My mom thinks it is calcium build up in the heater. It sounds like bowling balls dropping on the ceiling and rolling around. It usually subsides a few minutes after a shower, or washer stops. Any suggestions? Should we fix or call someone out? I've read you should drain your water heater periodically to clean out any deposits. I've also read that in well-built (usually older) houses, extra vertical sections of pipe are added to hold air bubbles. But as the years go by, they get filled with water, and the "dinosaur" noises begin. When this happens, turn off the water at the curb, then turn on all your faucets to drain all the water. This will let air back in these pipe sections and fix the problem. Note: I've noticed that when the water goes off for a while and then goes back on, there may be some spurting at first at each faucet. Make sure you don't have a glass under one, which will get slammed into the glass below it with the high-pressure water, breaking both glasses. (Like with an unfamiliar water fountain, keep everything out of the way when you first turn on each faucet.) Not that I have any experience with this or anything!